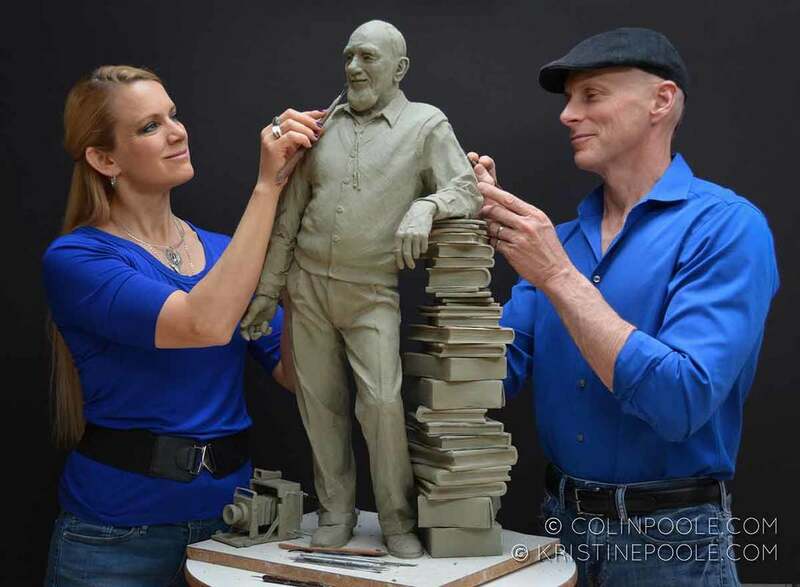 Kristine and Colin Poole working on the maquette for a larger than life commemorative public art sculpture commission for the Carnegie Library in Howell, MI. If you have questions, would like to arrange a studio visit or would like to be notified of upcoming workshops, shows or special events, you can email me through this form, use the email address listed below, or call at (800)808-5005. You can also find me on Facebook.